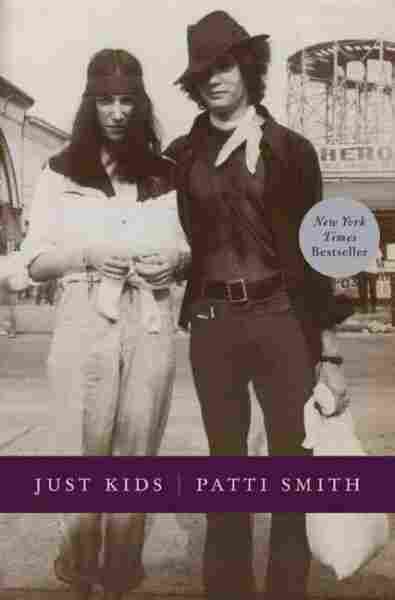 Patti Smith And Robert Mapplethorpe: Kindred Spirits Patti Smith's memoir Just Kids, just nominated for a National Book Award, describes her path of artistic self discovery and her relationship with the provocative photographer, Robert Mapplethorpe. 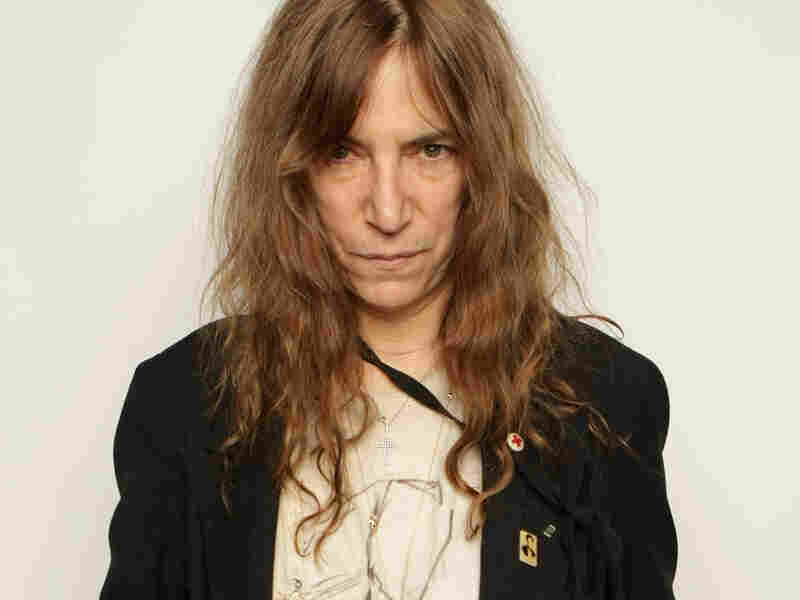 Patti Smith's new memoir, Just Kids, tells the story of her creative bond and friendship with famed photographer Robert Mapplethorpe. This interview was originally broadcast on January 19, 2010. 'Just Kids' was recently nominated for a National Book Award and will be released in a paperback edition on November 2, 2010. It was in 1967, on her first day in New York, that 20-year-old aspiring poet Patti Smith met fellow artist Robert Mapplethorpe. Their friendship, romance and creative collaboration began on that day and lasted until Mapplethorpe's death in 1989. Both children of religious upbringings and influenced by ideas of outsider culture, the pair would stay up painting and listening to records in their Brooklyn apartment before Mapplethorpe eventually moved to San Francisco. In the course of their friendship, Smith would become a punk icon and Mapplethorpe a famed photographer. 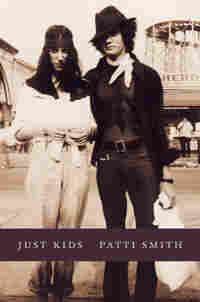 Smith's new memoir, Just Kids, tells the story of their 22-year friendship. She joins Fresh Air for a conversation about her career and her singular relationship with Mapplethorpe. I was born on a Monday, in the North Side of Chicago during the Great Blizzard of 1946. I came along a day too soon, as babies born on New Year's Eve left the hospital with a new refrigerator. Despite my mother's effort to hold me in, she went into heavy labor as the taxi crawled along Lake Michigan through a vortex of snow and wind. By my father's account, I arrived a long skinny thing with bronchial pneumonia, and he kept me alive by holding me over a steaming washtub. When my mother became pregnant with my brother, Todd, we left our cramped quarters in Logan Square and migrated to Germantown, Pennsylvania. For the next few years we lived in temporary housing set up for servicemen and their children -- whitewashed barracks overlooking an abandoned field alive with wildflowers. We called the field The Patch, and in summertime the grown-ups would sit and talk, smoke cigarettes, and pass around jars of dandelion wine while we children played. My mother taught us the games of her childhood: Statues, Red Rover, and Simon Says. We made daisy chains to adorn our necks and crown our heads. In the evenings we collected fireflies in mason jars, extracting their lights and making rings for our fingers. My small torrent of words dissipated into an elaborate sense of expanding and receding. It was my entrance into the radiance of imagination. This process was especially magnified within the fevers of influenza, measles, chicken pox, and mumps. I had them all and with each I was privileged with a new level of awareness. Lying deep within myself, the symmetry of a snowflake spinning above me, intensifying through my lids, I seized a most worthy souvenir, a shard of heaven's kaleidoscope. My love of prayer was gradually rivaled by my love for the book. I would sit at my mother's feet watching her drink coffee and smoke cigarettes with a book on her lap. Her absorption intrigued me. Though not yet in nursery school, I liked to look at her books, feel their paper, and lift the tissues from the frontispieces. I wanted to know what was in them, what captured her attention so deeply. When my mother discovered that I had hidden her crimson copy of Foxe 's Book of Martyrs beneath my pillow, with hopes of absorbing its meaning, she sat me down and began the laborious process of teaching me to read. With great effort we moved through Mother Goose to Dr. Seuss. When I advanced past the need for instruction, I was permitted to join her on our overstuffed sofa, she reading The Shoes of the Fisherman and I The Red Shoes. In the months of spring, I was often ill and so condemned to my bed, obliged to hear my comrades at play through the open window. In the months of summer, the younger ones reported bedside how much of our wild field had been secured in the face of the enemy. We lost many a battle in my absence and my weary troops would gather around my bed and I would offer a benediction from the child soldier's bible, A Child's Garden of Verses by Robert Louis Stevenson. In the winter, we built snow forts and I led our campaign, serving as general, making maps and drawing out strategies as we attacked and retreated. We fought the wars of our Irish grandfathers, the orange and the green. We wore the orange yet knew nothing of its meaning. They were simply our colors. When attention flagged, I would draw a truce and visit my friend Stephanie. She was convalescing from an illness I didn't really understand, a form of leukemia. She was older than I, perhaps twelve to my eight. I didn't have much to say to her and was perhaps little comfort, yet she seemed to delight in my presence. I believe that what really drew me to her was not my good heart, but a fascination with her belongings. Her older sister would hang up my wet garments and bring us cocoa and graham crackers on a tray. Stephanie would lie back on a mound of pillows and I would tell tall tales and read her comics. I had a secret compartment near my bed, beneath the floorboards. There I kept my stash -- winnings from marbles, trading cards, religious artifacts I rescued from Catholic trash bins: old holy cards, worn scapulars, plaster saints with chipped hands and feet. I put my loot from Stephanie there. Something told me I shouldn't take presents from a sick girl, but I did and hid them away, somewhat ashamed. I had promised to visit her on Valentine 's Day, but I didn't. My duties as general to my troop of siblings and neighboring boys were very taxing and there was heavy snow to negotiate. It was a harsh winter that year. The following afternoon, I abandoned my post to sit with her and have cocoa. She was very quiet and begged me to stay even as she drifted off to sleep. The following day was my sister Linda's birthday, but there was to be no party for her. Stephanie had taken a turn for the worse and my father and mother went to a hospital to give blood. When they returned my father was crying and my mother knelt down beside me to tell me Stephanie had died. Her grief was quickly replaced with concern as she felt my forehead. I was burning with fever. Our apartment was quarantined. I had scarlet fever. In the fifties it was much feared since it often developed into a fatal form of rheumatic fever. The door to our apartment was painted yellow. Confined to bed, I could not attend Stephanie 's funeral. Her mother brought me her stacks of comic books and her cigar box of charms. Now I had everything, all her treasures, but I was far too ill to even look at them. It was then that I experienced the weight of sin, even a sin as small as a stolen skater pin. I reflected on the fact that no matter how good I aspired to be, I was never going to achieve perfection. I also would never receive Stephanie 's forgiveness. But as I lay there night after night, it occurred to me that it might be possible to speak with her by praying to her, or at least ask God to intercede on my behalf. Robert was very taken with this story, and sometimes on a cold, languorous Sunday he would beg me to recount it. "Tell me the Stephanie story," he would say. I would spare no details on our long mornings beneath the covers, reciting tales of my childhood, its sorrow and magic, as we tried to pretend we weren't hungry. And always, when I got to the part where I opened the jewelry box, he would cry, "Patti, no ..."